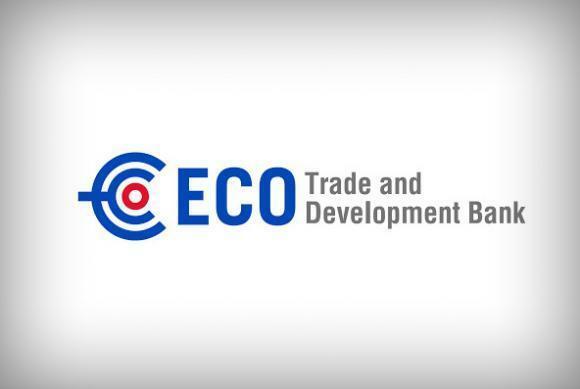 The ECO Trade and Development Bank (ETDB), headquartered in Turkey, has extended $6.83 million worth funds to Azerbaijan by the end of 2018, Trend learned from the Bank. "Over the past years, Azerbaijan has been demonstrating encouraging economic development and ETDB is making sincere efforts to support fundamental reforms being carried out by Azerbaijan in attaining sustainable development," said ETDB. In cooperation with the Azerbaijan’s financial sector, ETDB said it was able to extend its financing programs in favour of development of SMEs and trade finance. "The new country partnership strategy document 2019-2020 for Azerbaijan is under preparation and the operations of the Bank in Azerbaijan are expected to grow over the coming years. Recently, the Board of Directors decided to extent further support to the new members of the ETDB including the Azerbaijan and provided the opportunity for them to avail maximum financing up to three (3) times of their percentage share in the paid-in capital of the Bank." In general, macroeconomic stability and the favourable business environment in Azerbaijan is strengthening which offer a wide range of business opportunities, according to the Bank. "Therefore, ETDB would put all its efforts to contribute and partnership towards financing development projects for the dynamic and balanced pace of growth in the country. Specifically, in close collaboration with the partners in financial sector, fostering trade finance and support development of SMEs would continue to be the main focus of operations. Meanwhile, in support of diversification of economy, the ETDB will look into investment opportunities in realization of development projects in various sectors including agriculture, rural infrastructure, transport, transit and logistical infrastructure, manufacturing, tourism, etc.as well." ETDB is a regional development bank established in 2005 under the Economic Cooperation Organization (ECO) to promote social and economic development and intraregional trade among its member states. With its headquarters located in Istanbul, Turkey, the bank started operating in 2008. The main project priorities of the Bank include infrastructure, production, transportation, telecommunication and energy spheres. Azerbaijan became a member of ETDB in 2013 with the share of 2.98 percent. ECO is an intergovernmental regional organization whose members are Afghanistan, Azerbaijan, Iran, Kazakhstan, Kyrgyzstan, Pakistan, Tajikistan, Turkey, Turkmenistan and Uzbekistan. ECO was established in 1985, to strengthen economic,technical and cultural partnership between member states. Azerbaijan joined the organization in 1992. Azerbaijan signed 10 different agreements, including Framework Agreement on ECO Trade Cooperation, Transit Transport Framework Agreement, Agreement on Promotion and Protection of Investment, to improve economic partnership among member states and to increase trade relations in the region. The main goals of the organization are stimulating economy, enhancing sustainable development of the member states, liberalizing of trade and promoting internal regional trade and etc.